My thoughts on science and faith in God – Welcome to wdw.org, the personal web site of W. David Winslow! Recently, I posted a link to an article written by Karl W. Giberson, Ph.D on my Facebook profile. His article was titled: My Take: Jesus would believe in evolution and so should you. My goal in this post is to explain some of my current beliefs on the matter of origins, and how I came to believe them. For those of you who don’t know me, I want to disclose up front that I have no formal credentials on either side of this discussion. I am certainly not a scientist, nor am I a theologian or a philosopher. I am just a curious young fellow who is genuinely interested in understanding where we came from, what we are doing here, and what it all means. I have observed that many people seem to be members of one of two large “camps” of thinking on this topic. One camp is composed of Christians who believe that God created the universe a few thousand years ago. They believe that God created the entire universe in six literal 24 hour Earth days as described in the Bible book of Genesis. They don’t believe in the big bang, and they certainly don’t believe in evolution. Let’s call this the “Either” camp. The other camp is composed of people who believe in science, and only science. If you cannot prove it with science they will not believe it. 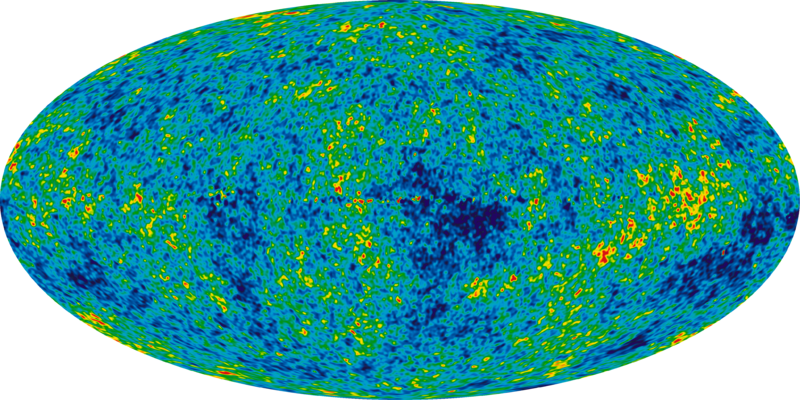 They believe that the universe is several billion years old. They believe in the big bang and evolution. Let’s call this the “Or” camp. The Eithers and Ors don’t like each other much. They spend a lot of time making each other mad, and being mad at each other. If you don’t believe me just go read the comments on the CNN article linked above. For a long time I checked only the Either box. Not anymore. After some serious consideration, study (of both the Bible and science), soul searching and prayer I decided to join a very small camp. I joined the campers in camp “And”. The beliefs of the campers in camp And are disliked by both the Eithers and the Ors. The Ands choose to believe in God, AND science. I think the Either / Or test is pure garbage. I believe it sets out a false choice. This false choice has harmed good Eithers and good Ors. I think some Eithers have set aside many great things they could have learned from science. They think that to believe them, they would need to sell out their faith in the God of the Bible. Now, I don’t believe that is the case at all. I think some Ors don’t feel like they can embrace a relationship with God without compromising science. They feel like if they did choose to believe in God, they would also need to believe in things like a few thousand year old universe that seem contrary to modern science. Again – I don’t think this is correct – it’s a false choice. It’s a lie. I believe in the God of the Bible. I believe in Jesus. I believe that Jesus was Gods son. I believe that he was born of a virgin, lived a sinless life, died on a cross for my sins, and rose from the dead. I believe that I will spend eternity with him in heaven. I believe that the same God that who created the universe loves you and me. I believe that I can pray to him, and he hears me and cares about me. About now, the heads of those of you in camp Or are spinning around and smoke is coming out of your ears – right? Ha – hang with me! I also believe that the universe is billions of years old. I believe in the big bang. I also believe in evolution. I believe that God caused what science describes as the big bang. I believe that evolution was the process God used to create the amazing diversity of life that we have on earth. Now the heads of those of you in camp Either are spinning around too. Good. Several years ago, a man I respect (as both a Christian, and as a career scientist) introduced me to the idea that I could believe in God, and science. He helped me understand that the Either Or test was a lie. I will be forever grateful to him. I also read several great books by Hugh Ross, and Francis Collins. Both are Christians and respected scientists. While both shaped my thinking on this topic, the best book I read on this subject was The Language of God: A Scientist Presents Evidence for Belief by Collins. That is a great question! After all, of my 527 current friends the great majority are probably very happy members of either camp Either or camp Or. I don’t have much to gain by annoying most of them with the link I posted, or this blog post which will also auto-post to my profile. I posted the link, and this blog post because I think this is an important discussion. I think people need to at least be exposed to the idea that you can believe in the teaching of the Bible, and what we have learned from science. I think it is important enough to risk annoying you with it. If you are a member of camp Either, I understand where you are coming from. I grew up in a great Christian church, I went to a great Christian private school. I honestly never thought about this subject very much. I checked only the Either box for a long time. However, as I got older I got interested in science. When I did, I struggled with the supposed opposition of modern science and my Either beliefs. Perhaps if you are an Either like I was, you struggle with this as well. If so, I would encourage you to consider the idea that you can believe in both the God of the Bible, and awesome stuff humanity has been able to learn from good science. Good science is no enemy of the real God. In the past, at times the Christian church has opposed good science for no good reason at all. Perhaps, a few hundred years from now this topic will look similar to the heliocentrism fuss a few hundred years ago. – Where did we come from? What caused what we call the big bang? – What does it all mean? Faith in the God of the Bible and his son Jesus Christ has provided me with very meaningful answers to those questions. Perhaps it will for you as well. Regardless of your beliefs I wish you well! This entry was posted in Faith, Science. Bookmark the permalink. Great insights David. I really enjoyed this post. Please keep blogging! I found your site while checking the availability of an abbreviation, WDW.org, for my own website WasDarwinWrong.com (Honestly! That is the way it happened). I read this blog post, and it is exceptionally clear writing and thinking. Congratulations! Great! I read and reviewed the book on my website, maybe you are interested. Thank you so much for your kind comment. I am glad you happened upon my site! Your site is absolutely amazing! I read your review of “The Language of God: A Scientist Presents Evidence for Belief by Collins.”. It is clear that your understanding of this subject area dwarfs mine by an extreme margin. Clearly an honest scientific study of this topic has been a substantial focus of your life work. I look forward to exploring your site further in the days and weeks ahead. I’m honored that you took the time to read my post, and honored even more still that you chose to add a link to it to your review of the Collins book. I think, it is no accidental correlation that you think and write clearly and the fact that you made the step from “Either / Or” to “And”.